Kwadwo Asamoah, for the first time in 9 years will not be donning a Black and White jersey. The Ghanaian left-footed utility player will be wearing the Black and Blue strips of Internazionale Milan. After 6 successful years at Turin albeit injuries, the player opted to leave the club on a free. 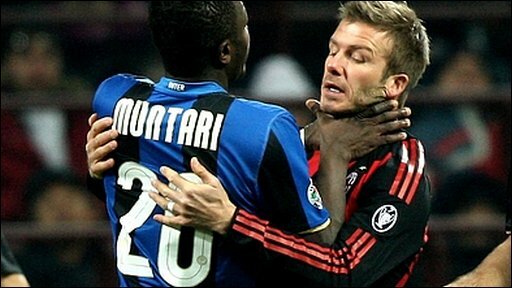 He became the 6th Ghanaian player to join the Milan side. The Kaaseman FC trainee played has 295 times, scoring 13 and assisting 30 since his move from Liberty Professionals to Italy. The left footed player joined Inter ahead of 2008/9 season. He was the first Ghanaian player to do so. The midfielder was signed having had a spectacular season with Portsmouth in England. He was a member of the Portsmouth side that won the FA Cup in 2007/8. Like Asamoah, he also represented Liberty Professionals and Udinese. After two loan spells at Sunderland and AC Milan, he finally joined AC Milan as a free agent after 4 years. He played 97 times for Inter Milan and was part of the treble winning team under Jose Mourinho. The midfielder born in Accra, Ghana spent two unsuccessful years at the clubs senior side. Duncan was trained at Inter Milan and his promotion to the seniors was the progression he could ever get. Duncan left for Sampdoria in 2014 without really cementing a spot in the club's central midfield. He played only 4 times for Inter having played 35 times for the club's Primavera side. At 25 years, the former Ghanaian youth product, currently plays for Sassuolo. The defender joined Inter's Youth side in 2010/11 from Padova. Donkor got promoted to the Under 19 side in 2012 before he officially joined the senior team in 2014/15. He spent the next 3 seasons going out on loans to Bari, Avellino and Cesena. He finally admitted to not being good enough for the Milan club and joined Cesena permanently in 2017. He managed to wear the Black and Blue jersey on 5 occasions. Donkor, 22, has played for the Ghanaian under 17 and 20 sides on 10 occasions. 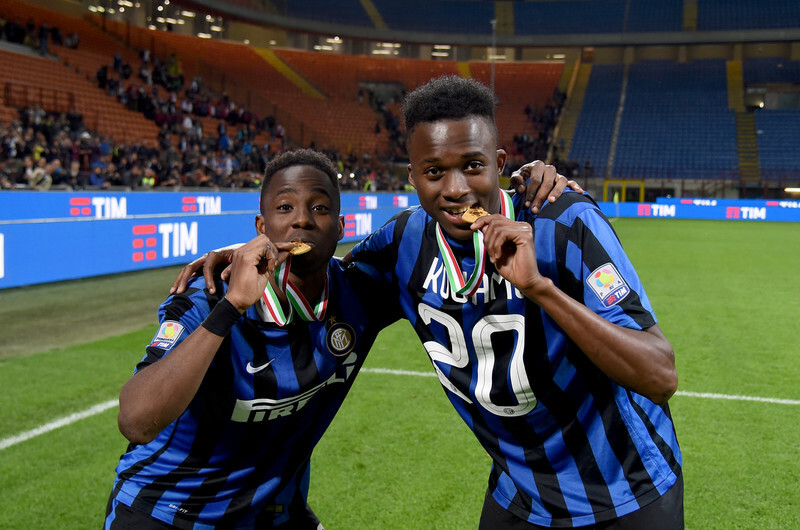 The defender joined Inter's Under 19 side in 2014/15. He spent a year training with the side before a loan move to Serie B side, Benevento in 2016/17. He returned to the senior side only to be officially shipped out to Benevento on July 1,2017. Gyamfi played 65 times for the Primavera side scoring 5 and assisting 3 goals, yet he never got a run with the senior team. The midfielder was trained across the city by the Red and Black side, AC Milan. He spent 5 years with AC before moving to Inter. He joined in the winter of 2016 and straight away he was sent on loan to Athletico CP in Portugal. Upon his return, he was sent out to Olbia and Fafe and finally left Inter in the summer of 2017. He won the Primavera Coppa with AC Milan in 2009/10. With all these experiences, one can only wish Kwadwo Asamoah the best of luck. 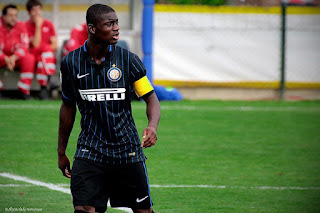 Hopefully he becomes the first Ghanaian player to really stake a place with Internazionale.